It has been an emotional day for GB Boxing as lightweight Galal Yafai, middleweight Antony Fowler and heavyweight Lawrence Okolie are eliminated from the 2016 Olympic Games. Welterweight Josh Kelly out boxed his opponent qualifying to the second stages of the preliminary rounds. Kelly opened today’s evening session for GB Boxing, he met Egypt’s Walid Mohamed as he made his first appearance of the 2016 Olympic Games. The first round saw fast reactions from the Sunderland boxer, Kelly came at his opponent with strong right hands and a good left hook. More good work came from Kelly in the second round, drawing his opponent onto shots. The final round saw Kelly produce a terrific display of boxing putting powerful shots together and landing them successfully. Kelly took all three rounds by a unanimous decision in a terrific Olympic debut. Kelly will now face Kazakhstan’s Daniyar Yeleussinov in the second set of the preliminary rounds on 11 August at 2315 GMT. Following on from his team mate, 75kg Antony Fowler took to the ring. Fowler met Kazakhstan’s 2013 World Champion, Zhanibek Alimkhanuly in the opening preliminary round. There was a furious exchange of punches in the opening round, Fowler proving that he is a very capable opponent for the Kazakhstan boxer. The second round saw Fowler exceed some big shots forcing him to regain composure. In the third round Fowler was trailing on the Judges’ score cards. He was up against an accomplished opponent and unfortunately it wasn’t enough. The tough bout ended Fowler’s 2016 Olympic dream losing by unanimous decision. Speaking after his bout, Folwer said: “He [Alimkhanuly] is a top, top class fighter. I knew when the draw was made that I was up against it because he was the world champion a few years back. Last up this evening for GB Boxing was heavyweight Lawrence Okolie, making his second appearance in the 2016 Olympic Games. Okolie was faced with another tough bout against Cuba’s number two seed, Erislandy Savon. Savon is an experienced boxer, who lost to GB’s Anthony Joshua in the 2012 Olympic Games. Okolie briefly met the Cuban in the World Series of Boxing final earlier this year, where he received a stoppage in the opening round. Tonight’s opening round saw a confident Okolie step into the ring in only his 26th bout in his boxing career. It was a bad start to the round as Okolie got hit by a tough right hand but he managed to compose himself. Round two saw Okolie find his range, throwing some good shots and causing problems for the very experienced Savon. The final round saw Savon in a commanding position, Okolie showing skill and determination throughout the bout. An emotional end to a challenging day of boxing for Team GB as Okolie bowed out of the tournament in the second set of preliminary rounds. Looking back at the experience, Lawrence said: ““It was good and bad. It was bad because I didn’t get the decision but good because I have progressed since the last fight where it was stopped in round one. 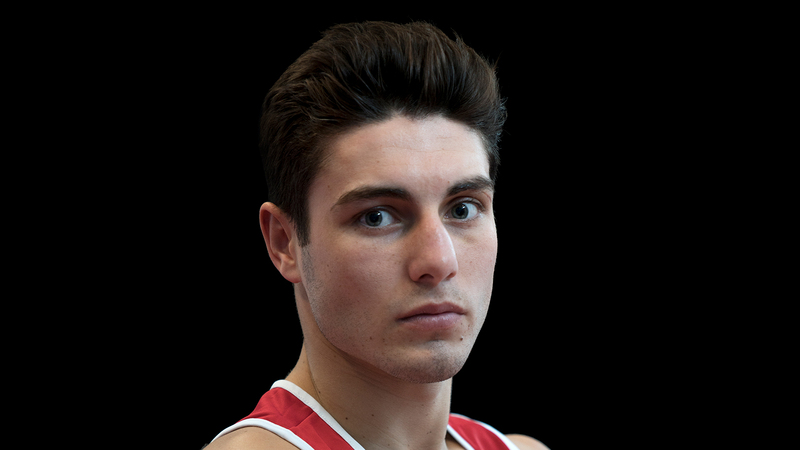 Next up for Team GB is 60kg Joe Cordina, he is up against Hurshid Tojibaev of Uzbekistan.